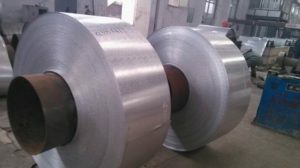 What is the 2a14 aluminum coil? There are many aluminum coil series manufactured by the Haomei, and 2a14 aluminum coil is one series of it, in the past, we have introduced you many series, and today we will introduce you the 2a14 aluminum coil, the thickness of the 2a14 aluminum coil is 0.15-600mmm, and it is certified by CCS, DNV, GL. It has the high strength and the better heat resistance. Besides, it also has good machine ability, electrical resistivity, spot and bead welding performance. 2A14 aluminum alloy can be heat treatment, so it has squeezing effect, therefore, vertical and horizontal performance is different. The tensile strength of 2a14 aluminum sheet can be 420MPa, and the elongation is more than 10%. It is often used for aerospace, large frame, bridges, large-scale housing, trucks and others. The Haomei Industrial Co., Ltd has been engaged in the aluminum coil production for almost 30 years, it has the strict control over the quality of the products, it adopts the high level technology and the updated producing line, which has a good performance in aluminum coil manufacturing. The products have been sent all over the world, gaining a world wide appraises, many of the clients developed a long term cooperation term with us, if you have any demand for the product, please contact us, and we will give you the best recommend! ← How can I select qualified color-coated aluminum coil?